This new cookbook offers delicious recipes for your petite gourmand. As many of you may remember, Bringing up Bébé: One American Mother Discovers the Wisdom of French Parenting (by Pamela Druckerman), was published about a year ago and inspired a great debate about French parenting styles. French Kids Eat Everything: How Our Family Moved to France, Cured Picky Eating, Banned Snacking, and Discovered 10 Simple Rules for Raising Happy, Healthy Eaters (by Karen Le Billon) soon followed and piqued my curiosity about French inspired cooking for children. 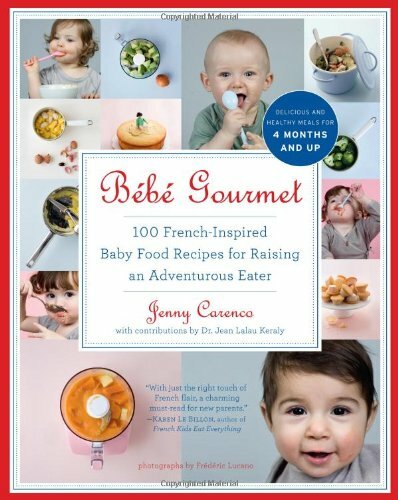 When I came across Bébé Gourmet: 100 French-Inspired Baby Food Recipes for Raising an Adventurous Eater (by Jenny Carenco), I could hardly wait to read about these wonderful meals and new flavors. Bébé Gourmet is filled with recipes for everything from first compotes and purees to big-kid dinners and treats. I especially love the recipes for Strawberry Mint Coulis, Chicken Tagine with Raisins and Polenta Fries. There is even a section with recipes from around the world, which would be wonderful for introducing kids to new flavors! We will definitely be trying the Spanish Vegetable Paella and the Indian Lentil Dhal with Coconut Milk and Cilantro Bulgur. 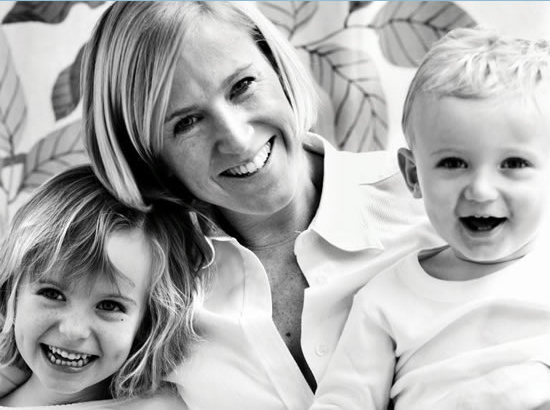 Carenco knows her stuff, she is a mom of two and founder of Les Menus Bébé, a leading French baby food brand. Her recipes are varied and accessible, many are easy and quick to prepare, even with a toddler underfoot. My friends often tell me that although they love to cook, they sometimes feel like they are in a recipe rut and are stuck making the same things every day. I know the feeling, LIttle M and I definitely have our favorite meals and I tend to gravitate towards cooking those when I am short on time or having a busy week. 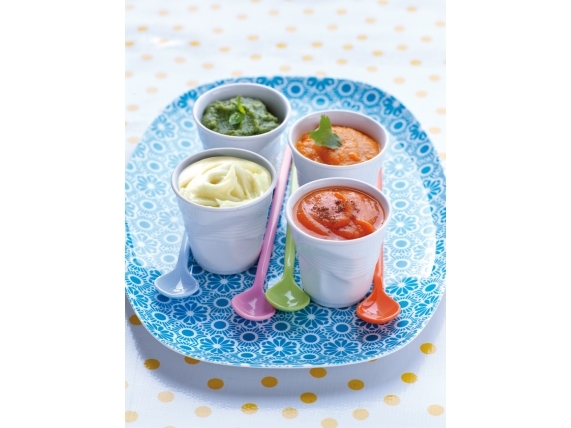 Bébé Gourmet is a fun and simple way to introduce children to new dishes, tastes and smells, with recipes sure to please even the pickiest little eaters! 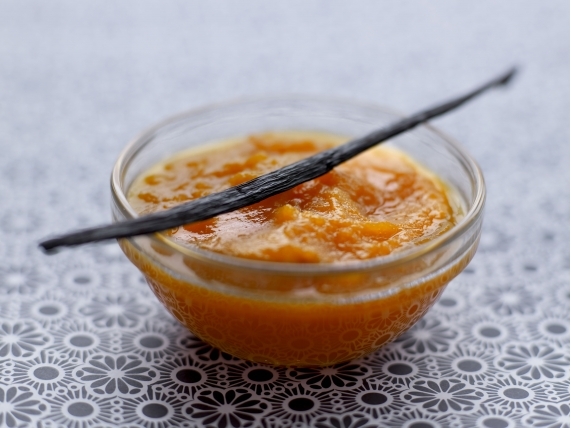 PS: Check out Jenny Carenco’s website for recipes (in French). Looks like a great book–thanks for sharing 🙂 We have a lot to learn from the French (all of Europe, really) about food and I’d never thought to apply that to feeding kids as well. Thank you! Yes, I agree and it’s always interesting to get a fresh new perspective on recipes. This book looks so cool! I will definitely check it out. Thanks for sharing!